Two weeks ago my girlfriend had an idea that it would be nice to go hiking again. It has been quite some time since our last hiking trip. You can read about that in this post. Our destination for the day was Kurescek (Kurešček in Slovenian). It is only 826 meters above sea level and we took an easy route - 4,5 hour walk up and back down. As the idea of the whole thing was getting in shape for our planned trip to Egypt, we started at high noon. 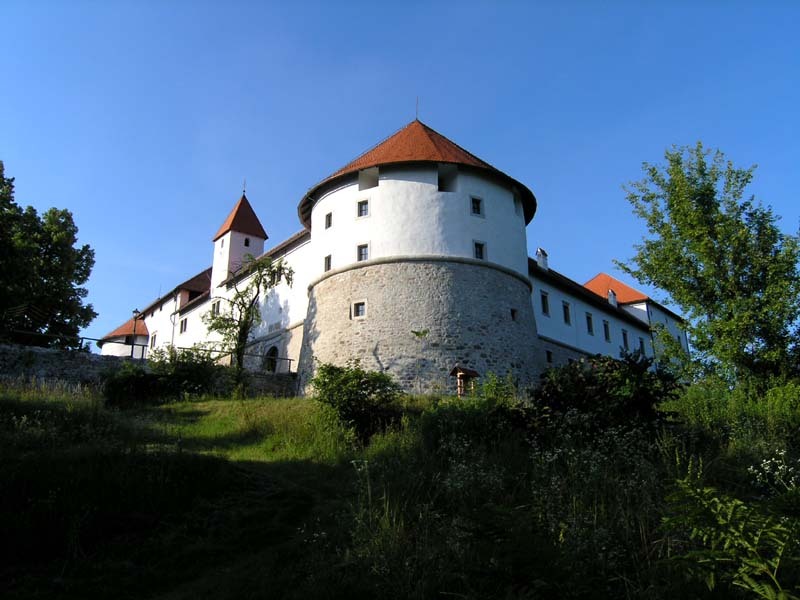 We left our car at the Turjak castle and took a path into the forest. 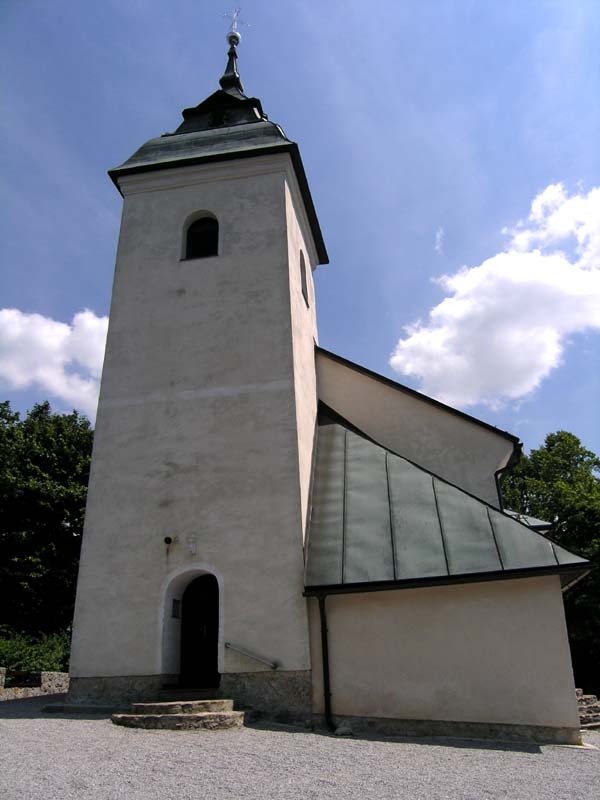 After a nice, but because of the heat a little bit exhausting, two and a half hour walk, a church dedicated to The Queen Of Peace greeted us at the top of Kurescek. After a meal at the nearby cottage inn we continued our circular route down the road. Not long after that came to a small village of Visoko. Our hiking guide-book was not too generous with the information on where to go from there. We took a path into a dense forest but after some 50 meters it was simply gone. We decided to go back to the village and ask for directions, because we didn't feel like getting lost in the unknown forest. We tried our luck with two ladies who were, as they told us, more weekenders than real locals. They both said that there is another path but they didn't know where it was going. Besides that detail, they also mentioned that it's not very safe to go deep into the woods around there because of the many bears roaming around. I didn't take them very seriously. What do some scared middle-aged city ladies know about woods and bears? Right? Right! But when I saw a look on my girlfriend's face I knew right away we weren't going down that path. Bears or no bears, I wasn't gonna settle for that. I decided to find a true local person who knows those parts. I got lucky soon enough. The next one gave me some useful info and we were off to find an overgrown path. She didn't mention any bears. At the edge of the forest there was an interesting sign that made us think. I tried to cheer my girlfriend up with an explanation of this sign. 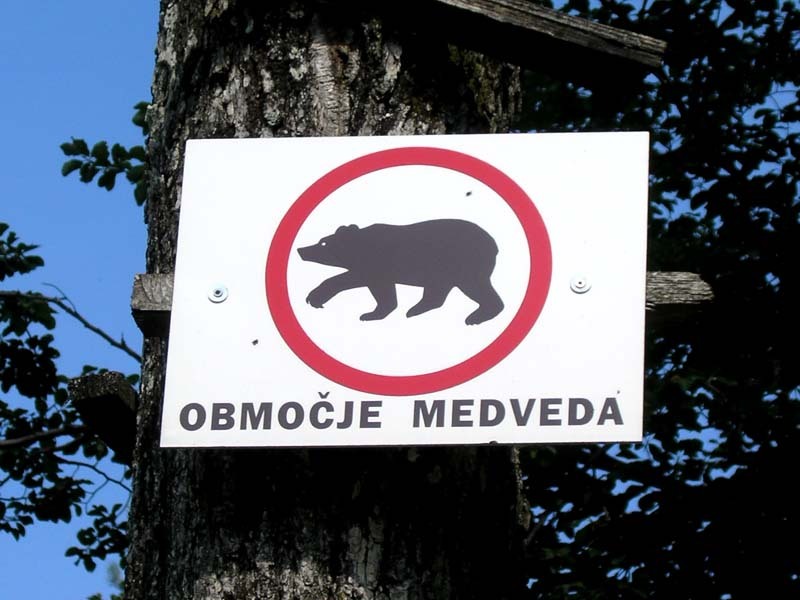 I said it's quite obvious that this round sign is forbidding bears to enter the area, so we are surely safe. Of course I was ignoring the two words saying: Bear region. My hiking companion was not too happy with the overgrown path occasionaly blocked with fallen trees. She was constantly urging me to pick up my pace. On top of all that we were beginning to run low on water (when asking for directions we forgot to make a refill). My bright idea to take photos of a weasel crossing our path was promptly dismissed. And there was no room for argument. None at all! She was not at all comfortable when that little path ceased to exist. I was confident we were on the right way, but not at all certain. Eventually the path appeared again and we were nearing the edge of the forest. When we were out in the clear again I could hear a loud sigh of relief and soon she was in a better mood again. After that it didn't take us long to get to our car parked in front of the castle. After a half an hour drive we were taking a shower in our flat in Ljubljana. I like your photos, Marko. You clearly love taking them. Keep coming back and you'll surely get a chance to see some more. Marko, this is a great blog! It makes me want to take a trip through Slovenia. Thanks, you are too kind. Thanks, I'm glad it turned out OK. I have been to Slovenia last summer, unfortunately only for a couple of days. 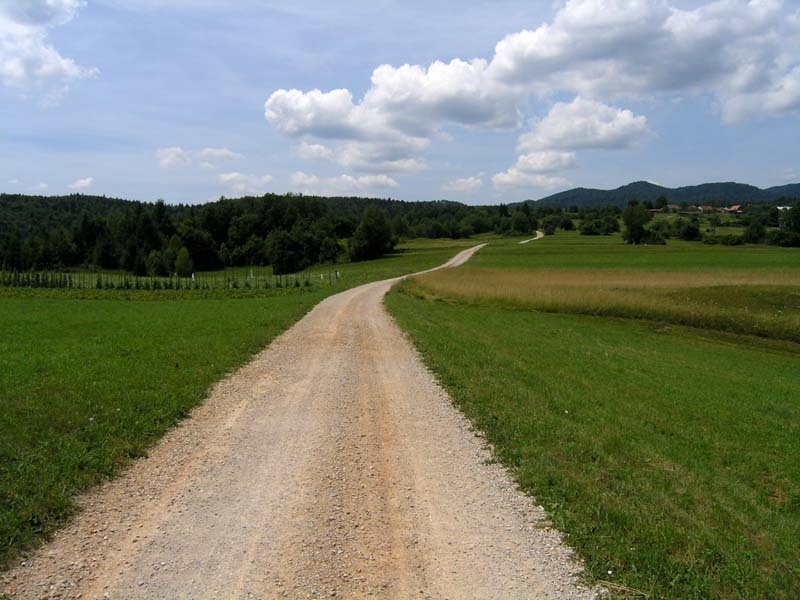 I enjoyed strolling through Ljubljana and seeing the country side very much. You live in a beautiful country. Lions and tigers and BEARS oh my! what a great story about your hiking adventure. As I read it I felt as if I was there hiking right along side with you guys. Really, thanks for sharing and I'm looking forward to Egypt, can't wait. Thank you. I agree with you on that. I think it's hard to get so much diversity in such a small country. In my opinion nature is one of the strongest points of Slovenia. It is ideal for hiking and getting in touch with nature. :) I'm glad you enjoyed the story. It was more like one of those thrillers where you always can feel something lurking in the dark, but you never get to see any of it - that was my girlfriend's perspective anyway.